I wine for school, too..
Actually I wine because of school. I meant to post this post earlier this week, but ah, the life of a busy working mom and student…I’m lucky that I even get a few hours sleep a night during the week. I am a student at ASU (Arizona State University) on the online campus and am pursuing my Bachelor of Science in Communications (I received my Associates degree last year). The classes in my program run only 7.5 weeks, but, they cram all of the material found in a traditional 16-week course into those short 7.5 weeks. Online learning is not for the faint of heart or the practitioner of procrastination. 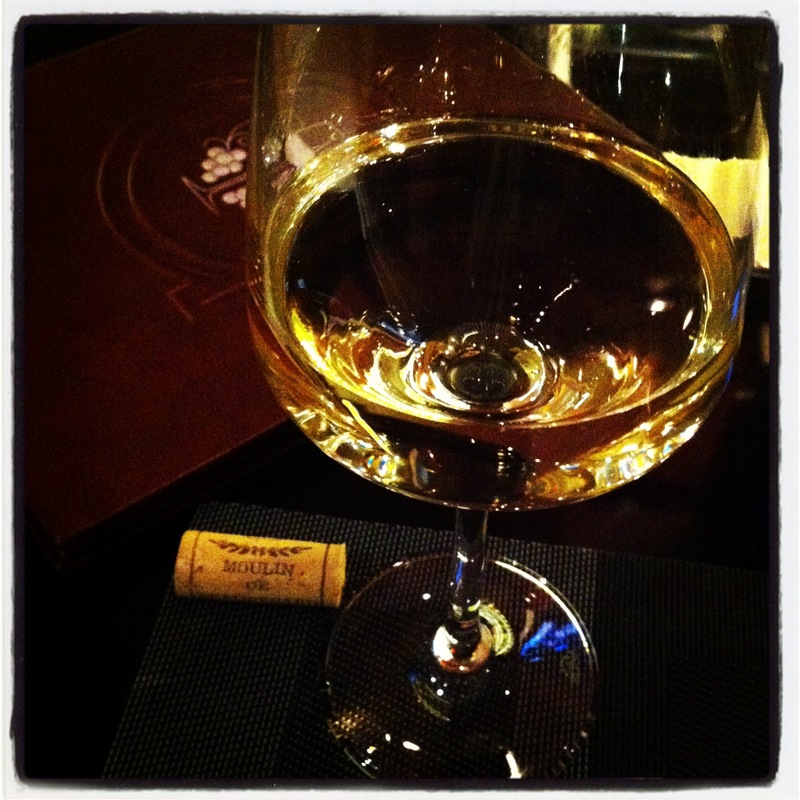 So, last Friday I wine-d to celebrate making it through the first of my classes for this semester. This first class I found particularly challenging not only because of the subject (Philosophy of Science) but also because of the lack of proactive interaction from the instructor (yes, I’m venting just a tad bit here). To be fair, he did answer emails on time every time he received them from his students, however, he wasn’t very ‘there’ in terms of interacting with us as a whole class (very little in the way of facilitating class conversations to go over and discuss the material we were reading). For a heavy subject like this, that bit of interaction could have gone a long way towards keeping a good portion of the class (including me) from struggling through the term. But oh well, it’s done and my Mr. Drake treated me to wine and appetizers at Anthony’s at M Resort. And after tackling that class, I was more than ready to celebrate! 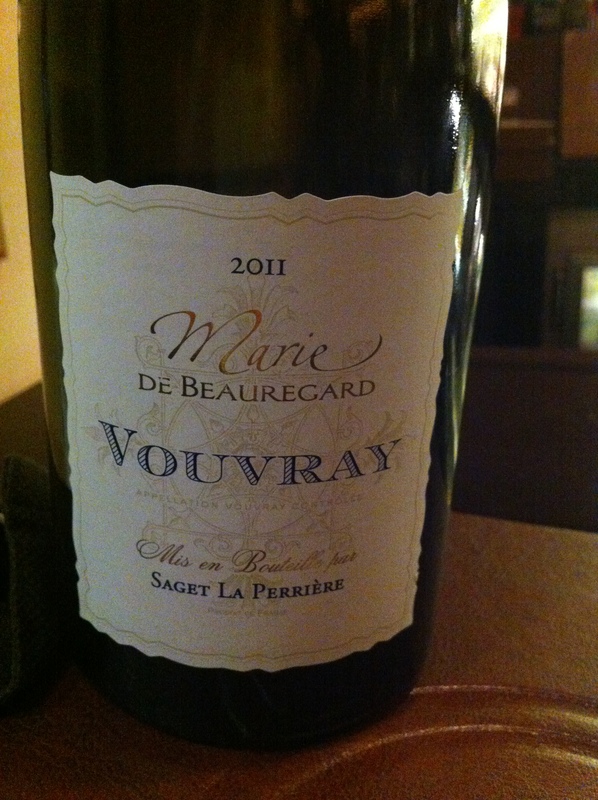 Our chosen bottle of wine that evening was the Marie de Beauregard 2011 Vouvray. 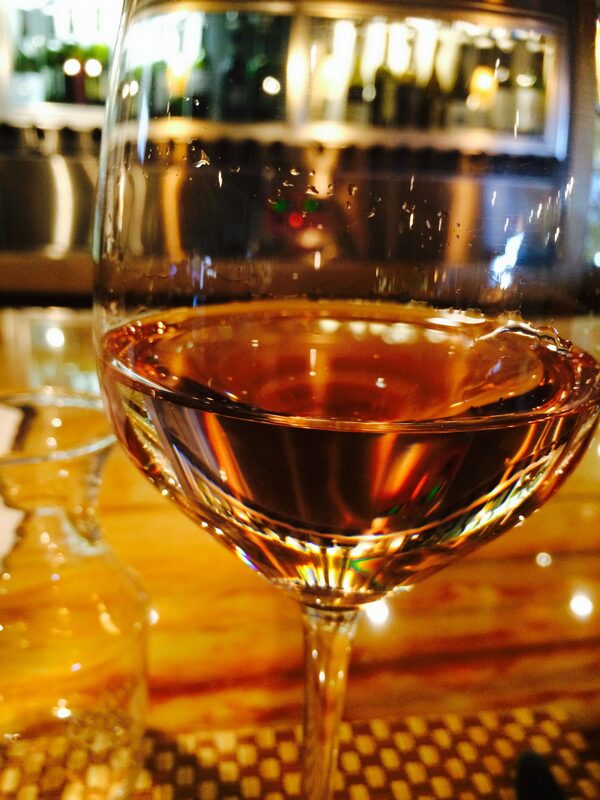 We were in the mood for a fruity white wine and this fit the bill nicely. I could smell and taste pear and apricot, too, and I tasted a bit of honey on the finish. The bottle label mentioned acacia as one of the aromas, however I didn’t pick up on that at all. I did enjoy how well this wine went with the chopped salad I had as my main meal as it calmed the acidity of the herb vinagarette dressing. And that tough first class? Well, I found out yesterday that all the struggle during the term paid off. I got an A! I may have to toast that with a nice Prosecco this weekend.